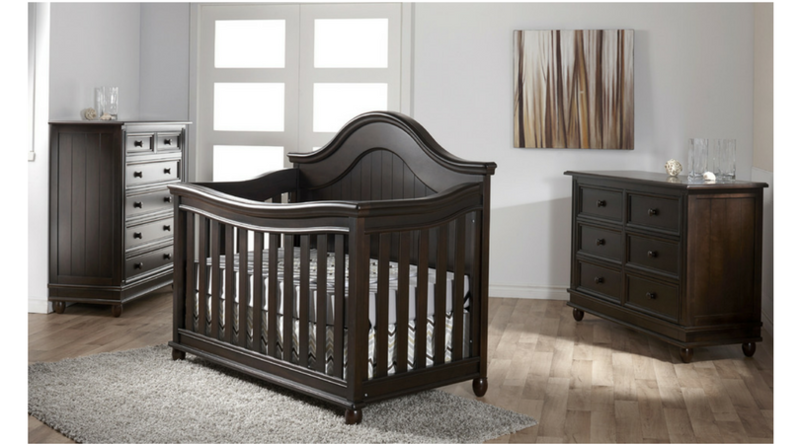 Sweet curves with classic style in a convertible nursery set! The Marina Baby-to-Teen Furniture will take your breath away! An original, fresh design with a hint of the sea. Marina [ma'rina] means “of the sea” in Italian, and with its delicately curved lines and beaded panel detailing, this collection appropriately conjures up feelings of summer and beaches and all things delicately breezy. With a nod to the pairing of classic style and fresh design, this collection would be a breath of fresh air in any nursery. This collection comes with many options to move from crib to a single teen bed. 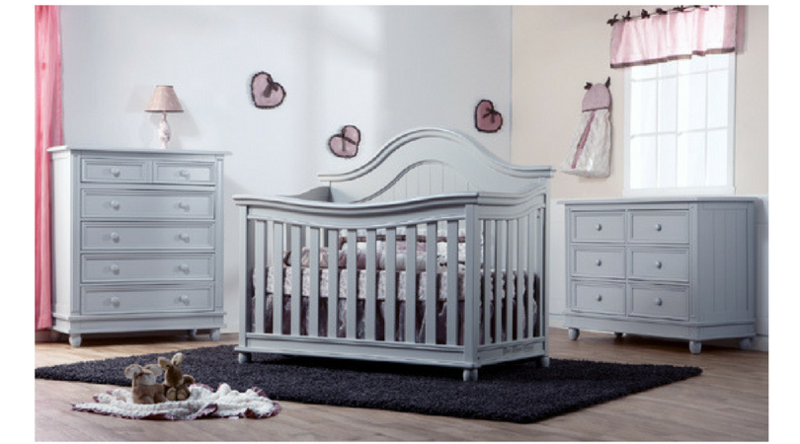 With four different finishes to choose from, this nursery set offers choice and customization to suit your needs.